iFormBuilder, by Zerion Software Inc., is an online form builder that specializes in online and offline data collection. Its features include barcode scanning, signature capture, inventory tracking, among others. In this article, we cover iFormBuilder reviews and pricing. Ready to get started? Get a free trial. As of the date this article was written (March 28, 2019), there are no up-to-date iFormBuilder reviews online. If you are a past or current iFormBuilder customer, leave a review to help other business owners who are deciding whether or not to use the software. iFormBuilder pricing is based on three paid annual plans: iFormBuilder ($6,000+/user/year), Zerion ($10,000+/user/year), and Enterprise (custom priced, starts at $45,000). 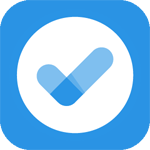 The main difference between the plans is access to premium features such as custom integrations and workflows, a dedicated success engineer, and a dedicated environment. Additional user for iFormBuilder and Zerion costs $300. 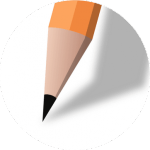 iFormBuilder also offers two premium add-on options: White Label App and Sandbox. The white label app allows users to create a customized mobile data collection app with a custom name, logo, and version control. This can be uploaded to the Apple Store and Google Play Store. Sandbox, on the other hand, is an environment where users can back up their data and build a new integration. Users can also unlock a maximum discount of 50%. Discounts apply once the subscriber hits more than 100 users in an annual account. Ready to get started with iFormBuilder? Get a free trial. What specific business industries use iFormBuilder? Features offered by iFormBuilder is used by those from the industry of agriculture, engineering, electric and utilities, healthcare, as well as non-government organizations. Is there an available iFormBuilder app for mobile devices? Yes. 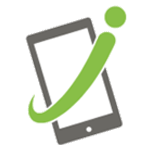 The iFormBuilder mobile app can be downloaded on the App Store for iOS devices and on the Google Play Store for Android devices. Have you read these iFormBuilder reviews and are still not sure if it’s the right fit for you? 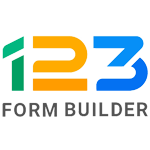 Read our reviews of all top online form builders or check out one of these three iFormBuilder competitors.